We are all so excited about the first ever Canadian SAAB Owner’s Convention happening this weekend. I packed up my car for the trip…..proudly displaying my saabsunited license plate. Just arrived at the host hotel, the Westin Bristol Place. Nice to see the presenting sponsor, SAAB Parts North America setting up their tent. Glad to have SAAB of London/Ultimate Automobiles as a sponsor. They have brought several cars to the convention…love the custom Canadian convention logo on the hoods of their cars. Owner’s and enthusiasts are starting to arrive for the convention tomorrow. A big thank you to all of our sponsors and to Peter Backstrom from the SAAB Museum. He will be flying in on Sunday to conduct a seminar and will be a speaker at the banquet gala. Even though SAAB is going through some uncertain times with many challenges ahead, owner’s in Canada and the U.S. still have a soft spot for a brand that defies logic. The SAAB Spirit is alive and well in North America! Looking forward to seeing everyone this weekend! Canadian SAAB Owner’s Convention on June 28 & 29, 2014 in Toronto, Canada at the Westin Bristol Place Hotel. This event has long been awaited by many SAAB lovers all over Canada, and now it is finally confirmed. More information can be found at www.saabconvention.ca regarding events, accommodations, ticket prices, etc. and will be updated periodically. I have attached the press release below. This is going to be a fantastic event. Please join us in a celebration to show our passion and support for this iconic brand! Announcing the first ever Canadian SAAB Owner’s Convention 2014 to take place in Toronto, Canada! Are you a SAAB owner and are planning to take some time off on the 2014 Canada Day long weekend? 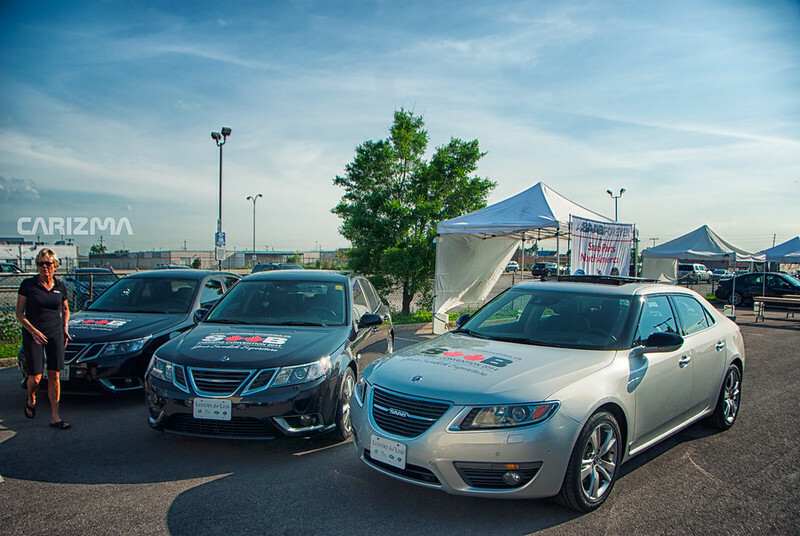 Members of the SAAB Club of Canada along with fellow SAAB enthusiasts are excited to officially announce Canada’s first ever SAAB Owner’s Convention to take place on June 28th and 29th of 2014 in Toronto, Ontario at The Westin Bristol Place Hotel. NG 9-5, or anything in between, this convention is for all! We have something planned for everyone – place your car in the People’s Choice or Concourse Show Fields, listen to one of the many tech sessions planned including discussing Vintage SAAB Performance, discussing early SAAB rallying, SAAB tuning seminar, Ask A Mechanic, and much more! A dyno will be on site for those of you who have made mods and want to measure your horsepower on site at this event. We will have a parts tent brought to us by our many vendors and sponsors as well as a swap meet for those who wish to sell parts individually. Adding to the excitement is an Advanced Driving Academy which will be offered as an option to registered participants at Shannonville Racetrack on July 2, 2014. There will also be a special presentation with updates on parts availability and service points. Don’t miss the chance to learn about the viability of keeping your SAAB on the road. The culminating night of festivities is the Awards Banquet with live music, and special guests. Make plans to head for Toronto in 2014 to reunite with your old SAAB friends and make new ones! Keep checking back with www.saabconvention.ca for more details, event schedule, sponsor information, event registration and hotel accommodation information. CANADIAN SAAB OWNERS CONVENTION 2014!